This summer myself along with Emma and Jacqueline travelled down to London to complete a long awaited and planned trip to the place where Harry Potter came to life for the big screen. Down at Pinewood Studios just north of London is where the magic is, and from the outset the place just oozes the wonder and magic that came to life in the films. With the studio its self looking inconspicuous when the bus pulls up you are met with the sign over the door and several of the giant chess pieces (Chamber of Secrets) guarding the studios. 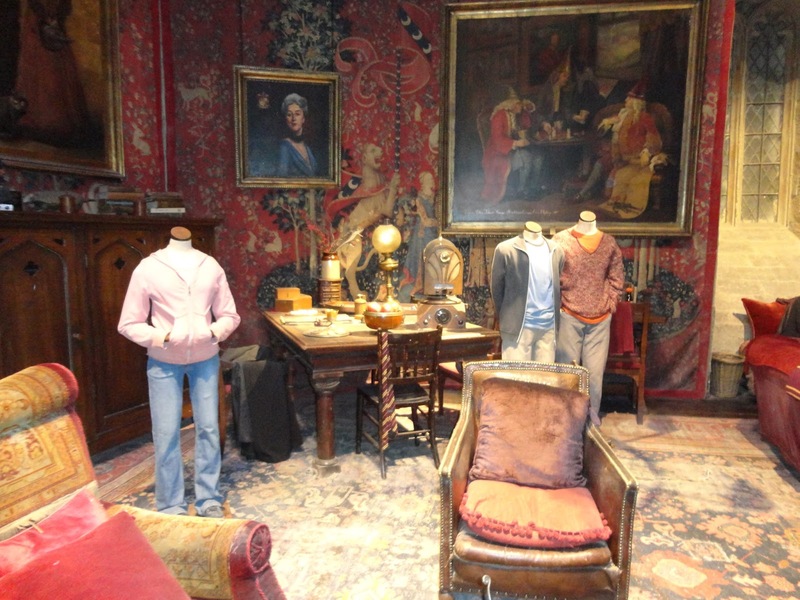 Once inside the atrium contains pictures of the cast and several props from the series including a Ford Anglia hanging from the roof. Here, while you wait to join the queue to enter the tour you can have a snack and a drink in the cafe or have your first browse of the shop. I’d recommend checking in large bags to their cloakroom as the tour can take a long time, and I found my bag to rub a lot on my shoulders. 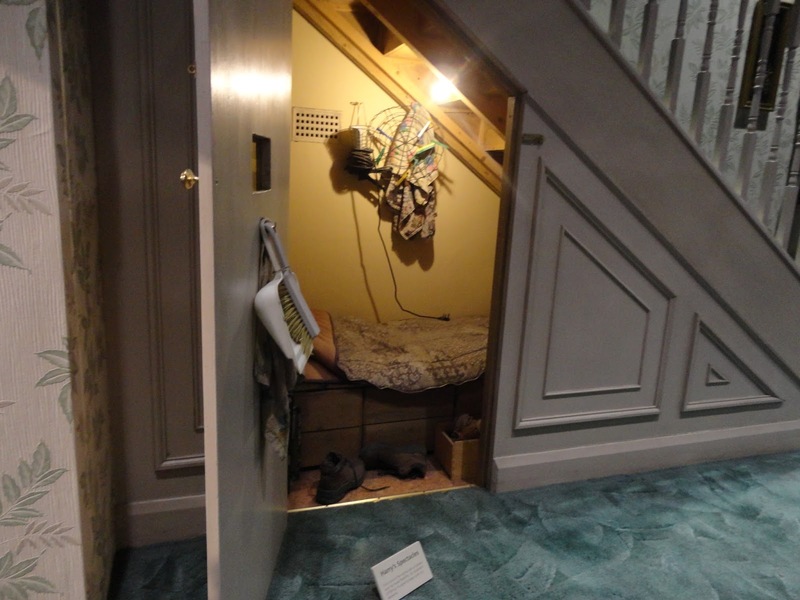 Once in the queue, you get to see the cupboard under the stairs, where it all began. Once in the tour, you get welcomed and watch a short film then enter the great hall. 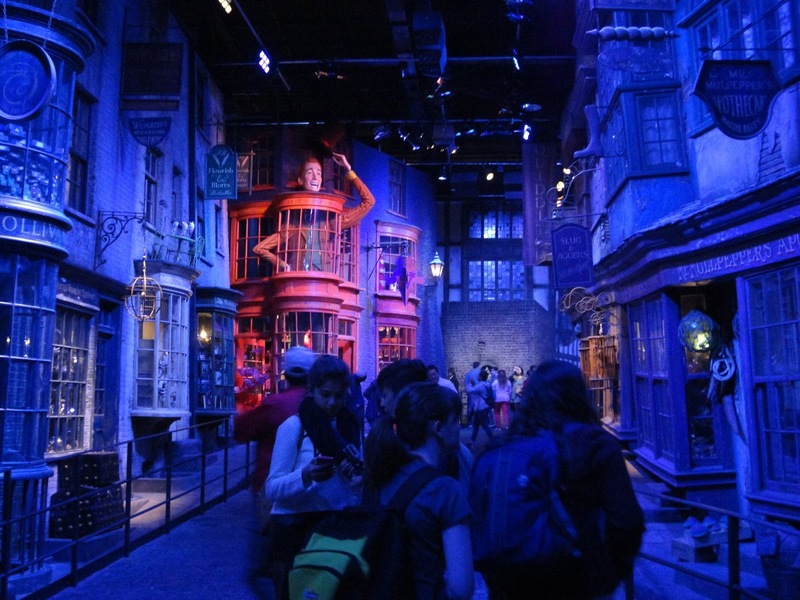 this part of the tour is the only one that is time limited and if you were to go, make sure you get to see all you want to, including the costumes of the teachers and pupils as well as some of the table props and food used in the film. Make sure to see the murals and the house points! Once finished here you start a long one way tour of props, sets and costumes. You get to see the boys dormitory, the Gryffindor common room, the clock, the perspective for the Leaky Cauldron and even Boggart Snape’s Costume! Throughout the tour there are Snitches hidden and as an added game you can find them all. 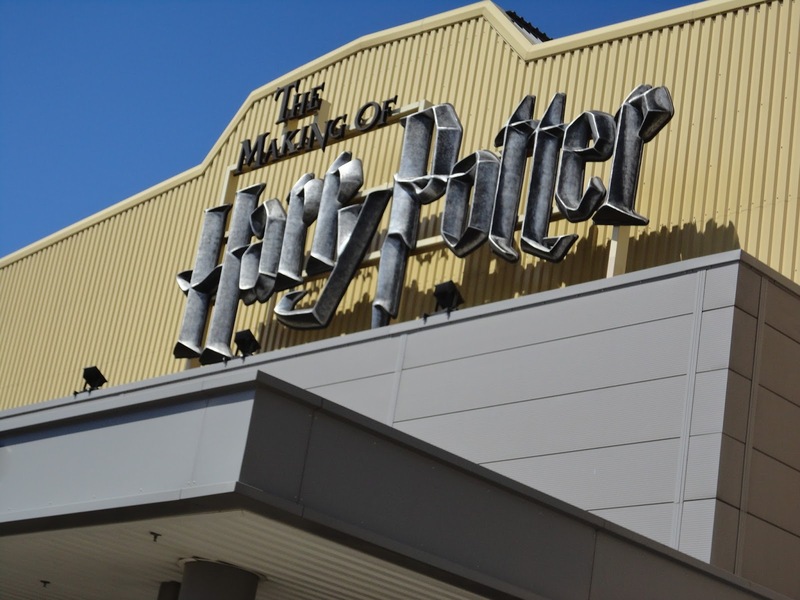 The tour follows a distinct route, and you will come across areas dedicated to Hogwarts, The Dark Arts, Quidditch, Platform 9 & 3/4s, Outside Props and even how they made things such as Buckbeak and Aragog. 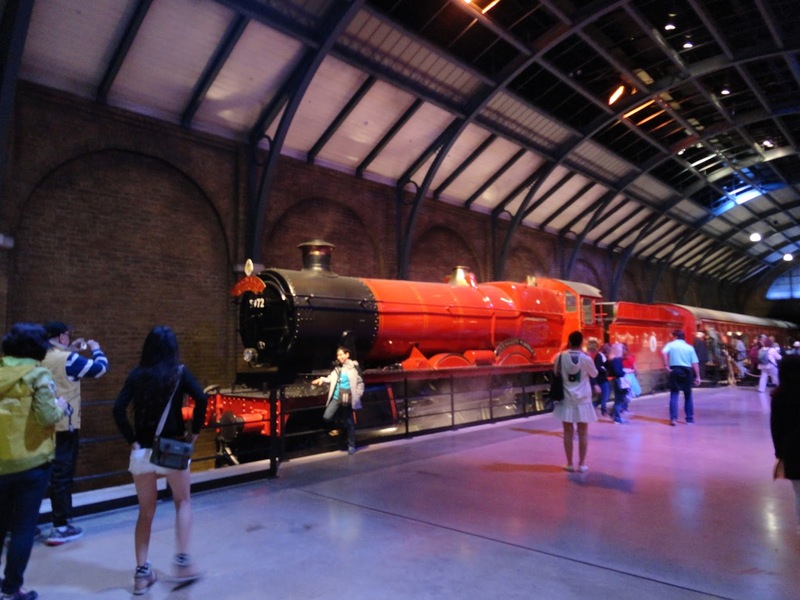 My favourite part of the tour was Platform 9 &3/4’s as I have always loved steam trains and really, it is where we get to meet all of our favourite characters. Before you come to the backlot you get a chance to have a snack, and buy some Butterbeer. 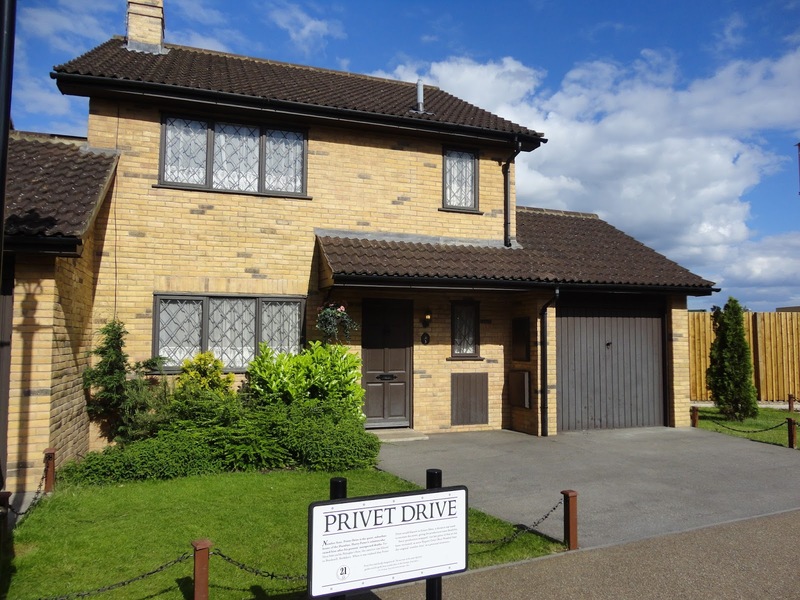 Then it is outside to see Privet Drive, the Nightbus and even the bridge at Hogwarts. There are many photo opportunities here, whether it be stepping onto the bus, knocking on the Dursley’s door or walking across the rickety bridge. 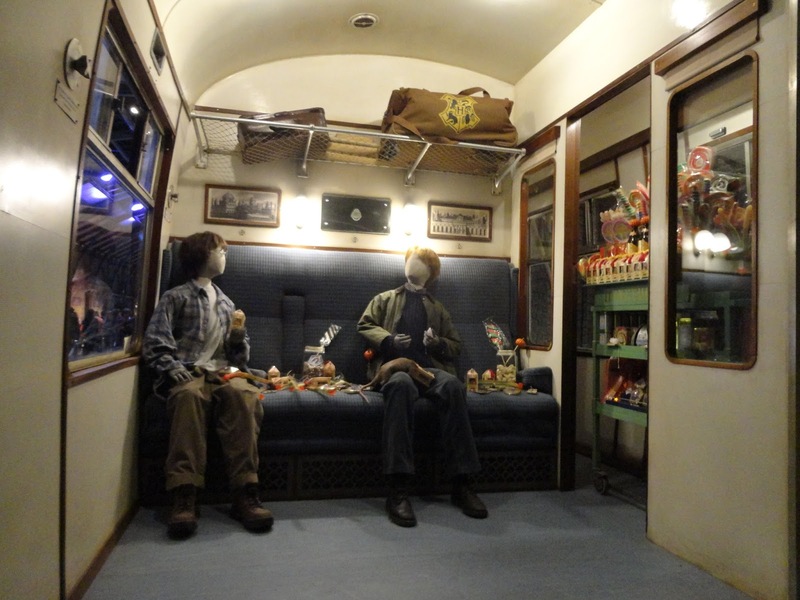 There are also added bonuses of the flying motorbike, more chess pieces and a photo opportunity in the Ford Anglia. 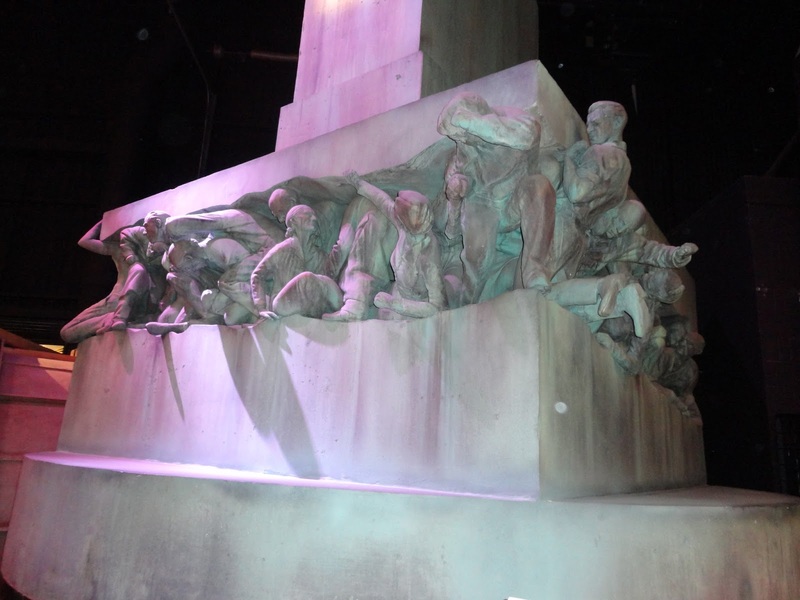 After the Backlot you get to see the Special FX used in the film which includes the monsters, Hagrid, Dobby and several props used in the films. Once done here you move onto Diagon Alley. I warn you this does not go on for long, so make the most of the street as you walk up. The Blue lighting in the photographs is how they preserve the set from light damage over time to keep the colours vibrant. 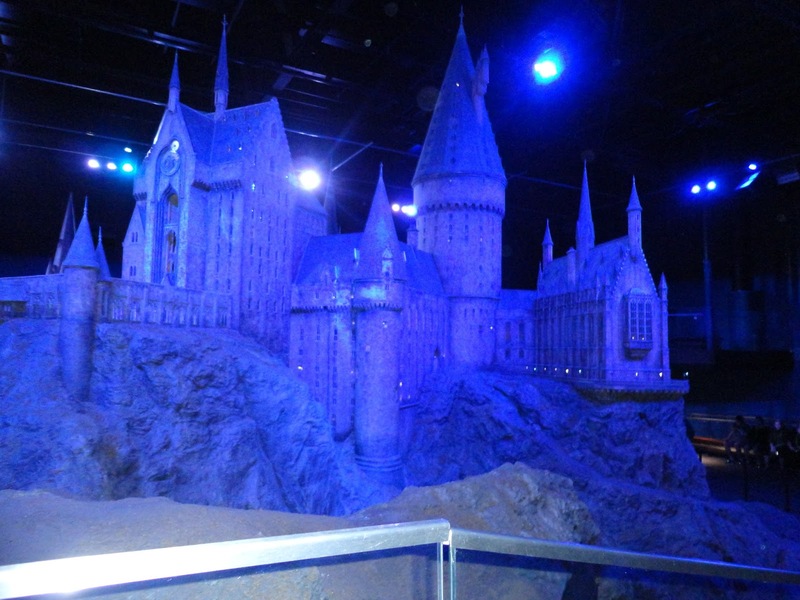 You then walk along a corridor with beautiful concept art from the films, and scale paper models of the various sets and props for the film before you come across the showcase of the tour, the scale model of Hogwarts. As you walk round the castle, you can get photos from all of the 360 degrees and recognise various locations from various films. 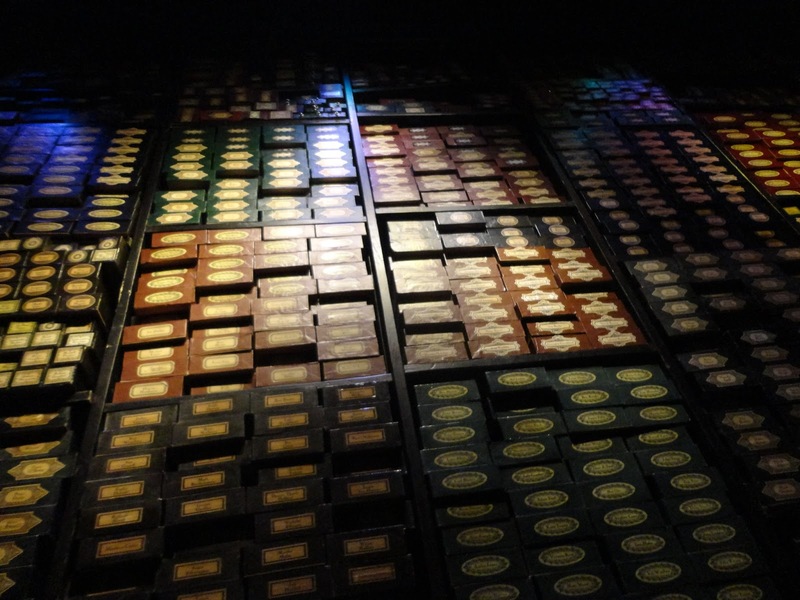 Finally, you come to a final room of wand cases, each of which features the name of a crew member who worked on the film series. 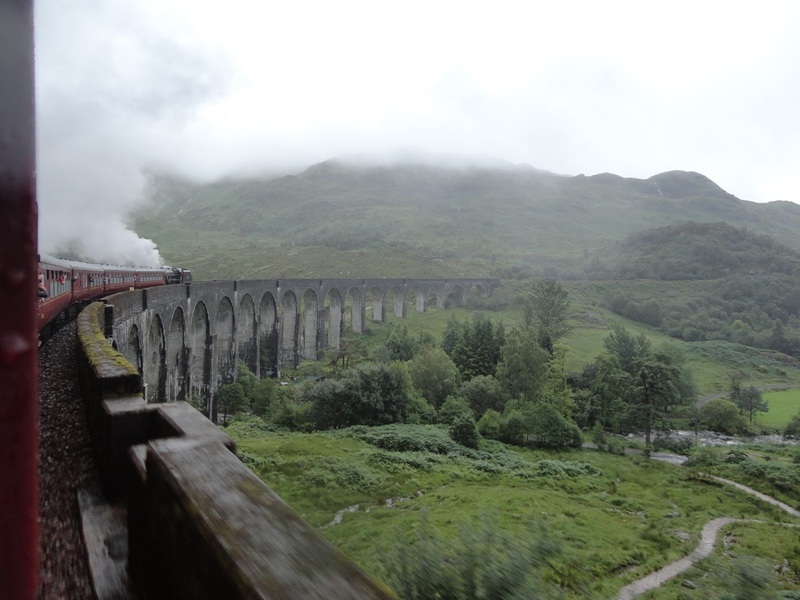 A little more recently I took a trip to the West Coast of Scotland where many of the scenes from the films were shot and where the weather may have been far from ideal, I was fortunate to make it over Glenfinnan Viaduct to Loch Eilt where the White Tomb (Dumbledore’s Grave) is located. 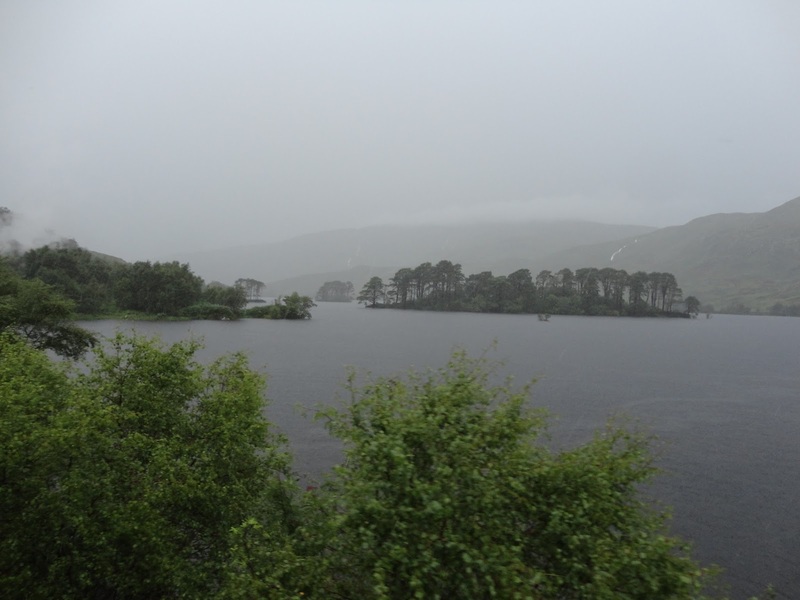 Shortly after this however, the Jacobite had to make an emergency stop as due to heavy (torrential and more) rain the track had been washed away and we had to turn back. 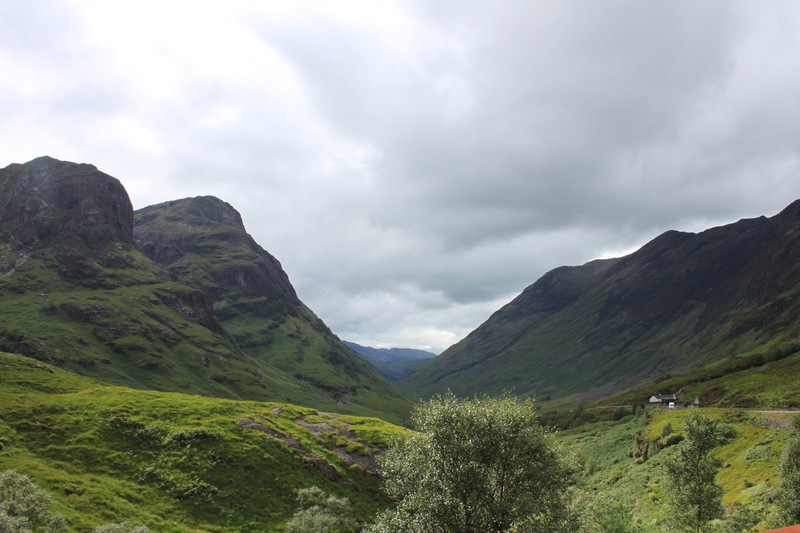 Finally a little travel through Glencoe rounded off my short break to the west coast, and movie watchers may recognise the view from films such as the Harry Potter series, James Bond; Skyfall, Monty Python and the Holy Grail and unsurprisingly Braveheart.